Special service package designed specifically for your summer driving needs. 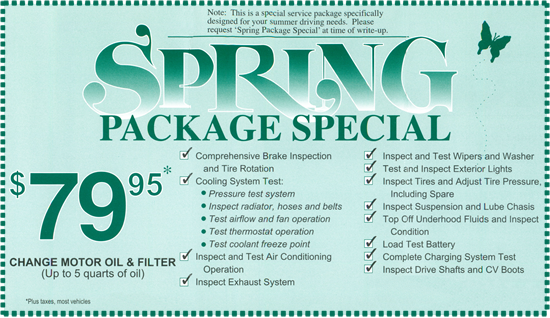 Plus special deals on Antifreeze Flush, Transmission Flush, Oil Change. 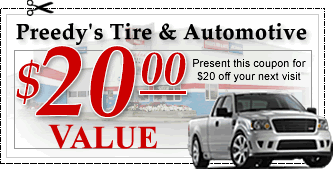 New to Preedy Tire & Automotive? Print the coupon below to save $20.00 off your first visit and discover the Preedy difference. Revisit this page for future coupon updates and our Spring and Autumn Package Specials, and be sure and check out Tire Pros for additional savings opportunities. Join Preedy Automotive on these social networking sites to find out about specials, news and upcoming events.